BRINGING TOGETHER HUNDREDS OF INDIANA SCIENTISTS FROM INDUSTRY AND ACADEMIA, AND, SCIENCE EDUCATORS, GRADUATE AND UNDERGRADUATE SCHOOL STUDENTS, AND SCIENCE ENTHUSIASTS. Stephanie Freeman-Day, Burnell C. Fischer, Charlie B. DeVoe, Donovan J. Moxley – Indiana University. Active Indiana municipal urban forestry programs: How are they addressing sustainability/environmental change? Sustainable- as applied to the urban forest, not to sustainable budgets, etc. 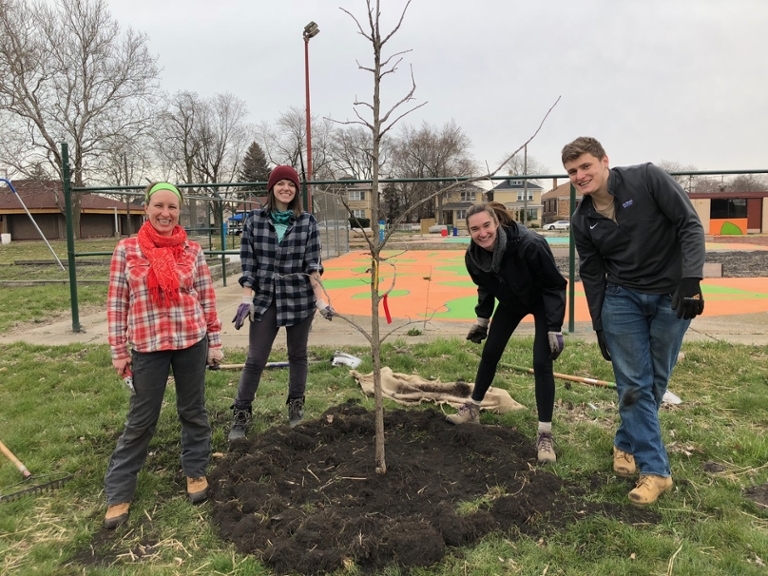 February 2019- BUFRG Research Update – Active Indiana municipal urban forestry programs: How are they addressing sustainability/environmental change? 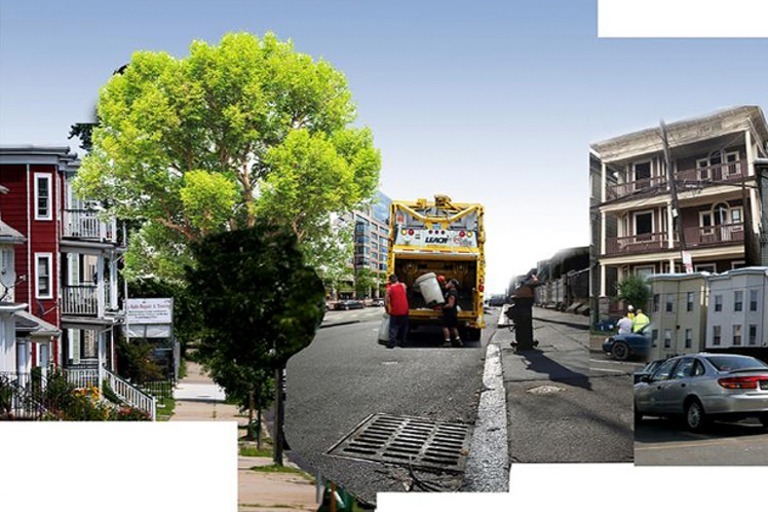 Both urban forest ecosystem services and threats to urban forest sustainability are well known. Urban forest management is more than individual tree care; it is managing the whole urban forest sustainably. Adding complexity is the concern for environmental change and identifying urban forest management strategies to both adapt and transition toward the future. To explore how Indiana urban forestry programs are addressing sustainability and environmental change we identified all Indiana cities that had been or are currently involved at least minimally in urban forestry from a variety of sources. These sources include IDNR CUF Program’s Tree City USA records and their grant awards (1992-2016), tree inventory consultancy projects, Indiana Arborist Association certified city arborist list, etc. We then used the list of active cities identified (74) and conducted a city-by-city website search. Collected information included tree ordinances, tree inventory reports, urban forest plans and related documents, citywide plans, etc. We downloaded each document to conduct a keyword analysis,identifying cities addressing urban forest sustainability and/or environmental change. Prominent keywords were diversity (species and age), monitor, stormwater, pests, sustainability and climate. We found 16 city urban forestry programs that are beginning to address sustainability/environmental change. Lead cities are contracting inventories with resultant reports and management plans that include monitoring and taking action around tree species and size diversity and assessing for urban forest environmental change impacts. Additionally, they are realizing the benefits trees have in reducing stormwater and heat island effects. We also identified cities on the verge of addressing urban forest sustainability/environmental change. Clearly, in the near future Indiana will have a group of model urban forestry programs for addressing sustainability/environmental change. "The city is an ecosystem, pipes and all: What scientists are finding when they treat the urban landscape as an evolving environment of its own." Boston Globe, November 2014. In spring 2019, Burney Fischer will again lead E555 Urban Ecology, a readings and discussion course for 12 master students. This year’s class is built around the framework of urban ecology “in, of and for the city” with each driving about a third of the course content. A set of topics responding to overarching course themes are selected by the class and then student teams locate peer-reviewed and other articles, which is the basis for weekly discussions. A professional book or blog review and a research paper are products developed by individual students during the semester. These types of student projects have resulted in a presentation at the Ecological Society Conference, a poster presentation at a campus symposium conducted by IUB Integrated Program for the Environment, two separate blog postings and paper presentation for the Indiana Academy of Science Conference. 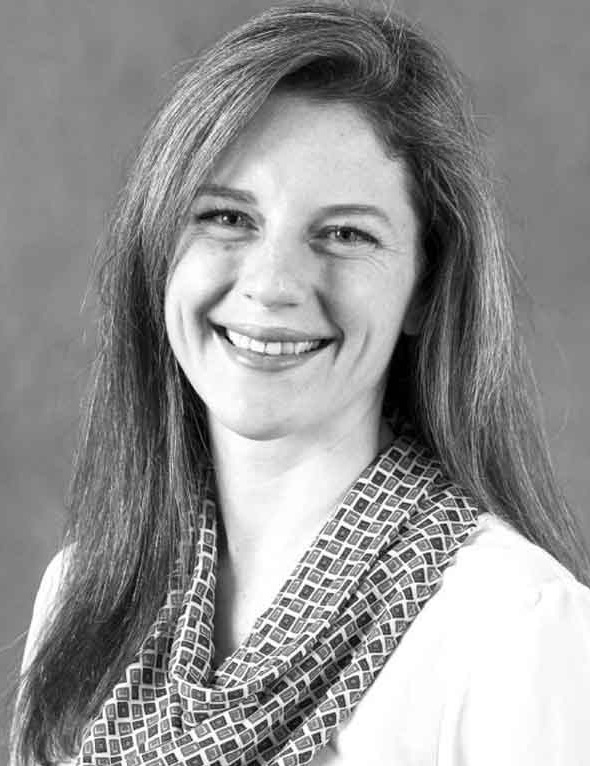 Stephanie Freeman-Day with Burney Fischer assisting completed the on-line course “Adapting Urban Forested Watersheds to Climate Change” offered by the USFS Northern Institute of Applied Climate Science (NIACS) and running from November through December 2018. Our project builds upon and complements the Bloomington Urban Forestry Strategic Plan 2014-19, the recent completion of the City’s Sustainability Action Plan (Fall 2018) and the recently awarded contract to conduct a citywide street tree re-inventory and canopy cover analysis for the City of Bloomington (2019). The specific patches considered for this project are Griffy Nature Preserve and the Clear Creekwatershed, which will be connected via both streetscape and forest patch restoration with attention to tree species composition that addresses environmental change impacts and vulnerabilities. The final PPT presentation outlines the project. A more complete white paper proposal from the project will be presented to the Bloomington Tree and Environmental Commissions as well as other entities in winter/spring 2019. Stephanie Freeman-Day with Burney Fischer assisting are taking the on-line course “Adapting Urban Forested Watershed to Climate Change” offered by the USFS Northern Institute of Applied Climate Science (NIACS) and running from November through December 2018. 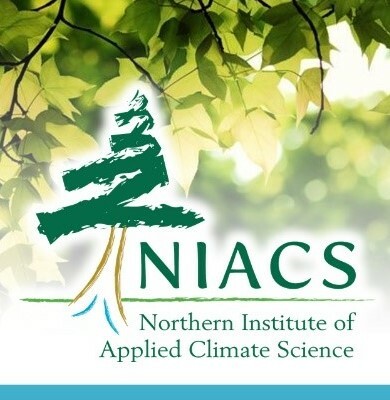 This is a second offering by NIACS of their Climate Change Response Framework specifically for an urban forestry audience. Stephanie’s project for the course is “Assessing Potential Urban Forest Patch Connectivity in Bloomington IN.” The initial idea is to build upon products like the Bloomington Urban Forestry Strategic Plan 2014-19; the recent completion of the City’s Sustainability Action Plan and soon to be, announced citywide street tree re-inventory and canopy cover analysis. A pilot area will be selected and we will use urban forest data (tree canopy cover, patch species composition, etc.) to make recommendations for the rehabilitation of the urban forest based on climate change impacts and vulnerabilities. A white paper from the project will be presented to the Bloomington UF Tree Commission. SPEA alum Jess Vogt MPA-MSES '12, PhD '14 received the 2018 International Society of Arboriculture's Early Career Scientist Award for her exceptional promise in arboricultural research. A continuing BUFRG project by Master’s student Donovan Moxley (MSES/MPA, 2018) explores the ecological legacy of the Home Owner’s Loan Corporation Redlining maps in Indiana, he focused his first effort on Indianapolis 80 years later. A poster paper presented at the spring 2017 IUB Integrated Program for the Environment Research Exhibition is an early outcome of this work; a draft paper is also nearing completion. The poster paper reviews how Redline mapping, as practiced by the Home Owner’s Loan Corporation (HOLC) in the 1930s, has been linked to lower modern urban tree canopy measurements in four US cities. Analysis using a geographic information system (GIS) was conducted in order to detect evidence of an ecological legacy of redlining in Indianapolis based upon the 1937 Redlining map. Using this method, evidence of relatively high-intensity development, low greenspace and forest cover, and disproportionately high incidences of brownfield, Superfund sites, industrial waste sites, and Interstate highways were detected in historically redlined zones in Indianapolis. 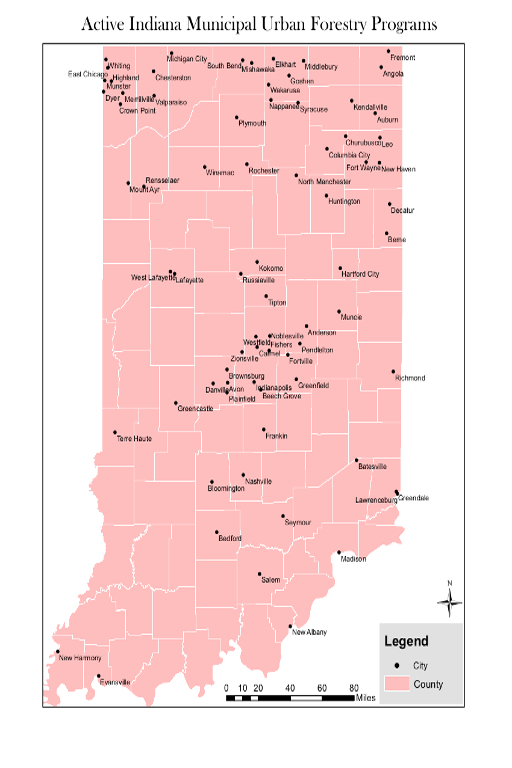 While opportunities for further and more detailed research are considered, the method employed here should be developed such that it is replicable for other cities with redlining histories in Indiana, there are maps available for over a half-dozen Indiana cities as well as in other states with comparable spatial datasets. Moxley, D. (2017) Exploring the ecological legacy of redlining maps used by the Home Owner's Loan Corporation in Indianapolis: 80 years later. IPEIES Research Exhibition and Awards Program, April 27, 2017 at IUB MSB-II. comparison between these two articles (one of which she co-authored with BUFRG researchers) as an example of the potential pitfalls of inter- and transdisciplinary scholarship on the social benefits of urban greening. She ends the commentary with several practical steps we can all take as reflective and mindful researchers to reduce the likelihood that important insights from the literature are missed during all phases of research. benefits of urban greening have a disciplinary cross-talk problem? Urban Forestry and Urban Greening, 32: 195-199. DOI: 10.1016/j.ufug.2018.03.010. Jess Vogt and Burney Fischer were co-authors of “A Volunteer and Partnership Baseline for Municipal Forestry Activity in the United States” a paper recently published in Arboriculture & Urban Forestry. Through a national census and survey of urban forestry activity in over 660 municipalities in the United States, researchers found two-thirds of all responding communities involve volunteers in tree activities. This increases from half of small communities (2,500 to 4,999 people) to all large communities (one million or more people) involving volunteers. When tabulated for the United States, a mean national estimate of 345,466 (195,754 SEM) people volunteered 1,484,204 (665,460 SEM) hours with municipal tree activities. This equates to 714 (320 SEM) full-time equivalent (2,080 hour-base year) positions. Overall, volunteers completed nearly 5% of municipal tree care activities. Nearly 80% of the municipalities train their volunteers. Tree planting (85% of communities) was the most common activity, followed by tree watering (40%), awareness/education programs (39%), tree pruning (28%), and fundraising (20%). Findings were contrasted with U.S. census population groups to disaggregate if volunteerism varied by community size. Volunteers were more commonly involved in communities with a greater urban-forestry capacity derived from a sustainability index score. Six attributes of municipal forestry program had either positive (+) or negative (-) effect on volunteer participation in urban forestry activities. These included adequate budget (-), per capita spending (-), tree board (+), outreach (+), strategic plan (+), and total employment (+). 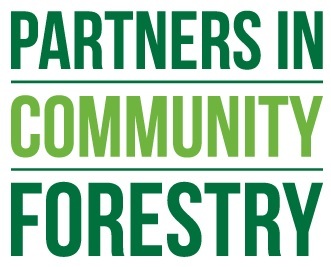 Hauer RJ, Timilsina M, Vogt J, Fischer BC, Wirtz Z, Peterson W. A volunteer partnership baseline for municipal forest activity in the United States. Agriculture and Urban Forestry 2018 44(2): 87-100. Burney Fischer hosted Davey Tree recruiter and tree climbing expert Mark Noark on April 12. He showed the students how an arborist would climb a tree with emphasis on personal safety (top slide). The Davey emphasis on Hazards, Obstacles, Planning and Escape (HOPE) was very prominent. In addition Davey Tree sales arborists Alison Herrell (SPEA MSES & UFM alumnus 2013) and Mike Volz joined Mark to explore with students how they make arboriculture decisions about standing trees as well as general insights about the green industry. 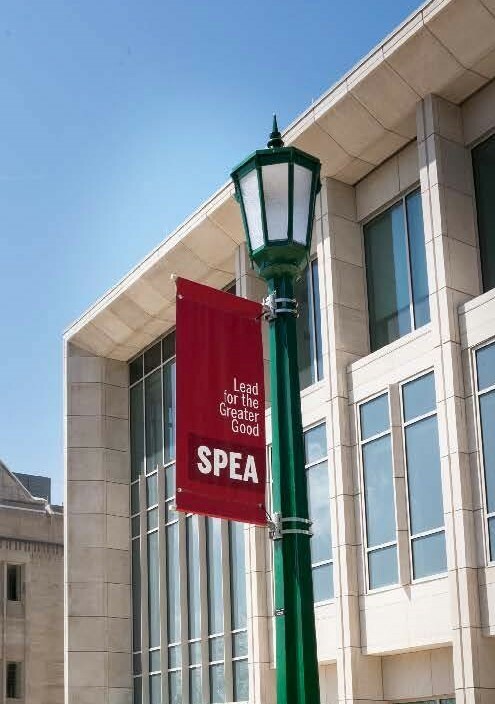 The field experience was conducted on the Wells House lawn next to SPEA and was a great experience for the students. After the class meeting the Davey folks conducted short informal interviews with interested students in the SPEA Career Development Center. A BURFG study recently published in Cities reports that nonprofit tree-planting programs not only improve the neighborhood environment, but can also have some impact on the neighbors who live there. The study found evidence that tree-planting projects increase ties between neighbors and that residents reported many positive changes in their neighborhood, including improved aesthetics and neighbors being more active outside. However, plantings did not appear to have effects on deeper relationships, such as cohesion or trust between neighbors. Findings suggest that tree planting can yield social benefits, but those benefits are not guaranteed. Nonprofits interested in community building should carefully consider program components designed to connect residents and encourage sustained engagement with the project. 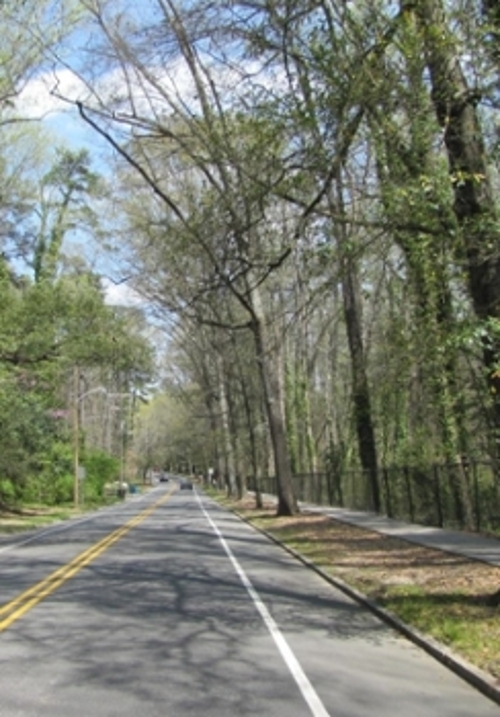 The study reported findings from the largest interdisciplinary study of tree-planting to date; the BURFG team examined nonprofit tree-planting programs in four cities in the Midwestern and Eastern United States (Atlanta, Detroit, Indianapolis, and Philadelphia), collecting ecological and social information about tree-planting neighborhoods and matched comparison (non-tree planting) neighborhoods. This paper draws from a household survey of 1551 respondents in 197 neighborhoods. Shannon Lea Watkins (University of California, San Francisco) was lead author on this study. Co-authors were Jess Vogt, Sarah K. Mincey, Burnell C. Fischer, Rachael A. Bergmann, Sarah E. Widney, Lynne M. Westphal, and Sean Sweeney. In two recently published studies, BURFG researcher Dr. Shannon Lea Watkins (University of California, San Francisco) and Dr. Ed Gerrish (University of South Dakota) found significant evidence of both race- and income-based urban forest inequity. Race-based inequity was particularly high on public land, where city governments and nonprofits have the most influence. Methodological differences explained some of the variation across original studies. Urban forestry professionals and city governments should consider the equity consequences of urban forestry activities. As cities increasingly invest in urban environmental resources, they have a choice: do they continue a status quo approach that perpetuates a system of environmental injustice, or do they engage underserved communities in environmental protection and in so doing, promote environmental and health justice? Given the sensitivity of results to study methodology, authors of future studies should be thoughtful in methodological choices and conduct robustness checks. 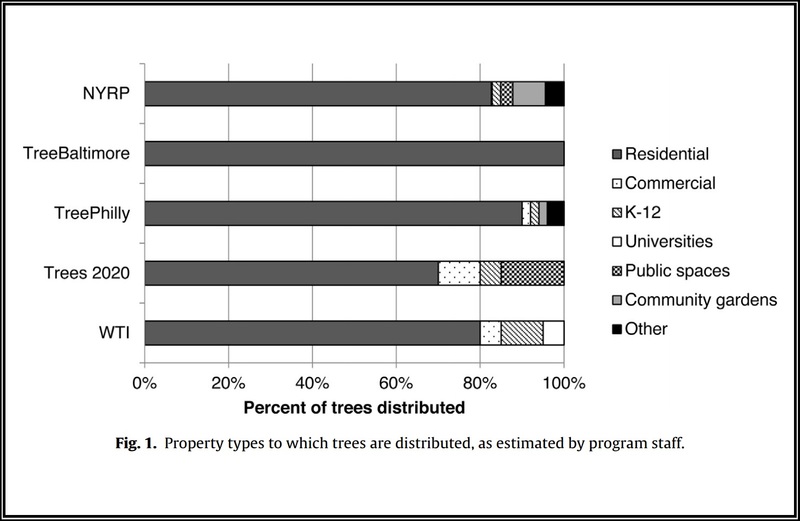 This is the most comprehensive study of urban forest inequity to date. Watkins and Gerrish analyzed the results of 67 original studies that had estimated the statistical relationship between urban forest cover and neighborhood sociodemographic characteristics. They used meta-analysis to summarize findings across original studies, adjusting for variation in methodology, study location, and research lens across studies. The studies are published in the Journal of Environmental Management and Landscape and Urban Planning. Watkins, S.L., E. Gerrish. (2018).The relationship between urban forests and race: a meta-analysis. Journal of Environmental Management. 209:152-168. Gerrish, E. & S.L. Watkins. (2018). The relationship between urban forests and income: a meta-analysis. Landscape and Urban Planning. 170: 293-308. Burney Fischer will teach E422/S422/E522 Urban Forest Management for the 13th consecutive year at in spring 2018. The dual level class has 13 masters students, 2 undergraduate honors students and 25 undergraduate enrolled. This elective course meets twice per week and is a combination of lectures, much class discussion, guest speakers from city government, nonprofits, industry and academia, and field experience in inventory, tree planting, tree care, etc. 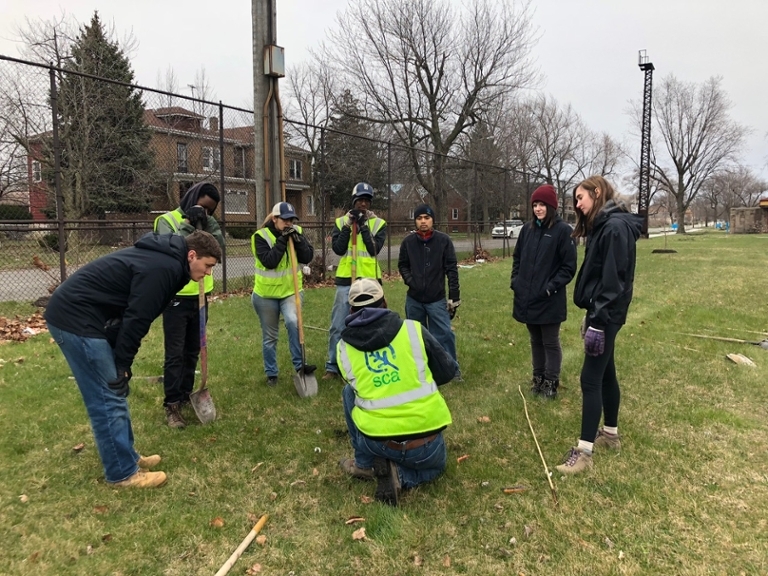 Student teams will conduct small case studies on questions or situations provided by the City of Bloomington Urban Forestry Program and/or Keep Indianapolis Beautiful. In spring 2018 Burney Fischer will again lead E555 Urban Ecology, a readings and discussion course for 13 masters and 1 PhD student. This year’s class is built around the new book “The Baltimore School of Urban Ecology: Space, Scale and Time” by Morgan Grove and colleagues. The class develops a set of weekly topics to cover and then student teams locate peer reviewed and other articles, which are read before class each week to serve as the basis for discussion. A professional book review and a research paper are products developed by individual students during the semester. From last year’s class these types of student projects resulted in a presentation at the Annual Ecological Society meeting (Blumenthal) and a paper recently submitted for publication (Dunn). Burney Fischer and Donovan Moxley are taking the on-line course “Adapting Urban Forests to Climate Change” offered by the USFS Northern Institute of Applied Climate Science (NIACS) and running from November 2017 through January 2018. This is a first-ever offering by the NIACS of their Climate Change Response Framework specifically for an urban forestry audience. Our project for the course is to develop a database and follow-up survey of Indiana Tree City USA’s regarding their data collection (street tree inventories and urban tree canopy assessments), management plans and strategies, and other management tools to assess whether they are recognizing the impacts of climate change on their forest and if so, responding by 1) Resisting, 2) Mitigating or 3) Transitioning to environmental change. A white paper will be the first product of this endeavor for Indiana cities. Dr. Burney Fischer successfully presented lightning round presentations at both the Alliance for Community Trees and Urban Partners Conferences in November in Tulsa, OK on November 14-15. Presenting "Connecting a Non-Forestry School Urban Forestry Course to Urban Greening Nonprofits" at the Alliance for Community Trees provided insights to urban green nonprofits on the limitations of forestry schools to provide meaningful numbers of urban forestry students for internships/full-time positions. The alternative is reach out to attract students from the much broader range of programs in environmental science/studies, etc. 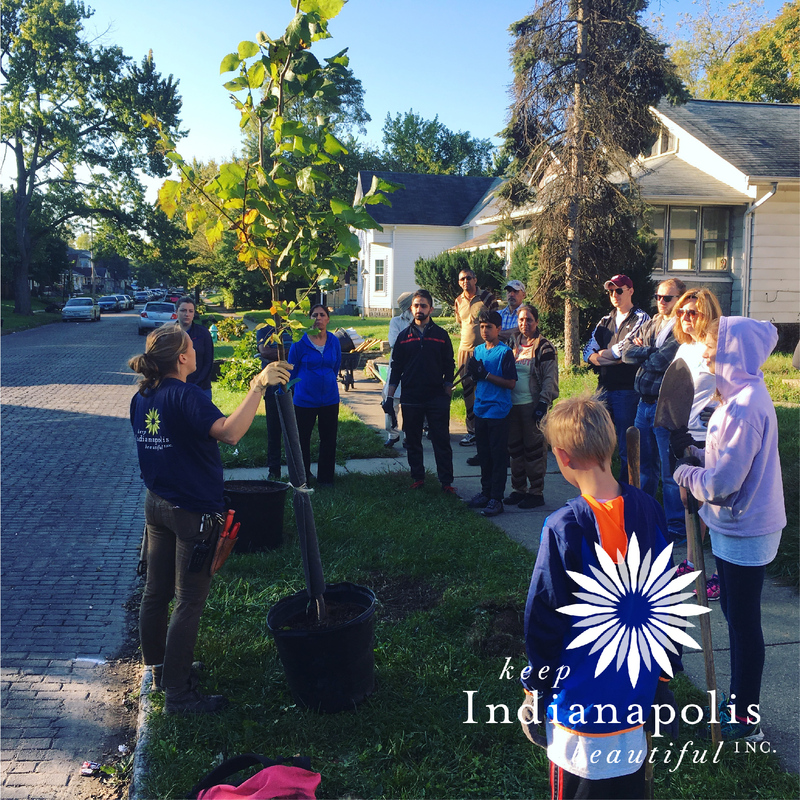 Dr. Fischer provided examples of the variety of interactions by Keep Indianapolis Beautiful with Indiana University’s School of Public and Environmental Affairs course in urban forest management, including classroom presentations, class projects, case studies and even on-going research. This provided context to attendees on how they can connect with the enrolled students as volunteers, interns, and full-time employees, and how urban greening nonprofits can interact with university faculty. Dr. Fischer also presented "The Great Urban Disconnect between Ecologists and Foresters" to the Partners in Urban Forestry Conference on November 15. The theme of the lightning round presentation was the struggle to find common ground between urban ecologists (who work in traditional theory) and urban foresters (who work in management), and the need for this type of discussion to commence at the local, city level where both are likely to be doing their work very separately from each other. Urban ecologists speak of doing their work “in”, “of” or “for” the city, and the presentation used these lenses to connect to arborists and urban forestry professionals who unknowingly use the same approach – from single trees in the city, to street tree/canopy inventories of the city, to management of the urban forest for its many environmental services. The presentation was very well received and drew interest to our publications on the subject (e.g. 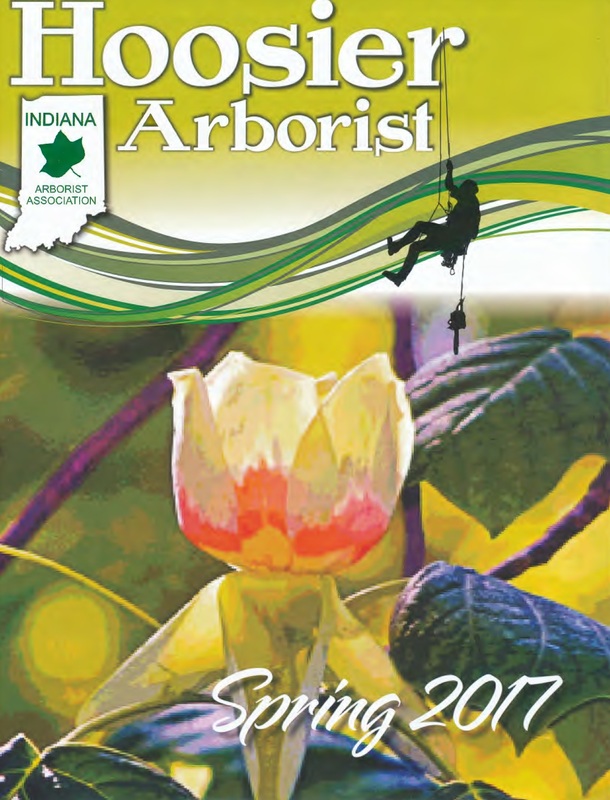 See 2017 Indiana Arborist Newsletters – Winter, Spring and Fall). 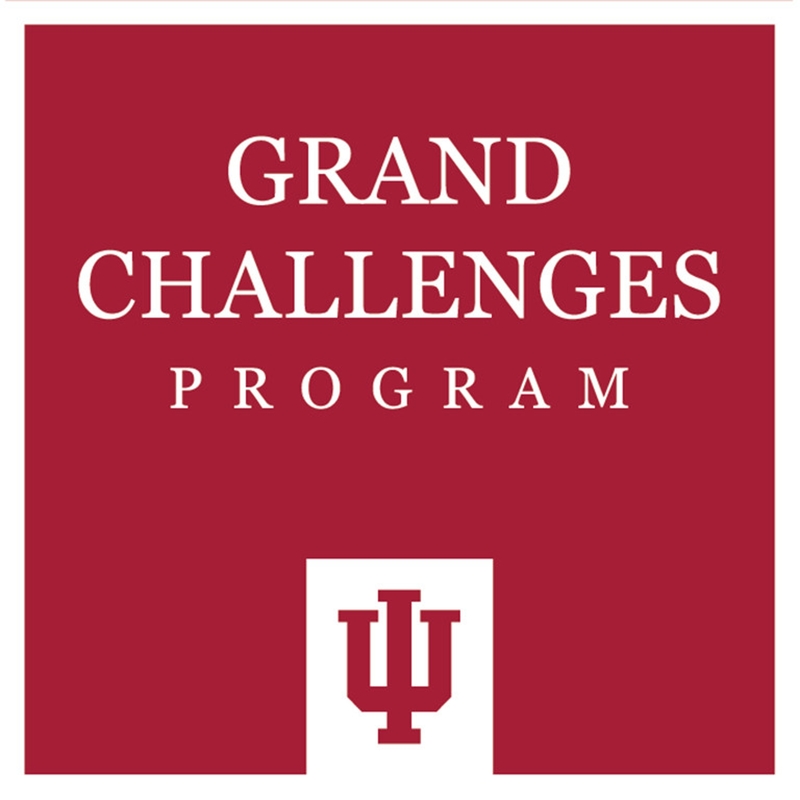 Professor Burney Fischer and his graduate research assistants will be involved in the IU Grand Challenge "Preparing for Environmental Change" participating in the Green Infrastructure Cluster focusing particularly on urban forests across Indiana. This research cluster will bring together both social science and ecological research teams to conduct surveys and analyze existing green infrastructure inventories, initially in the Indiana cities of Indianapolis, Bloomington, and New Albany. Currently, specific survey questions under development regarding urban forests relate to the following themes: What kinds of inventories currently exist for Indiana cities and metropolitan areas? How are these existing inventories utilized, especially to plan for environmental change? What planning exists to utilize these inventories in future efforts to address environmental change? What questions do cities have regarding inventories not yet initiated or just in the planning stages? While frequent and continuous publication of findings will be among the products of this effort, there will also be interactions with individuals and groups at the city level to foster on-going relationships and future projects. 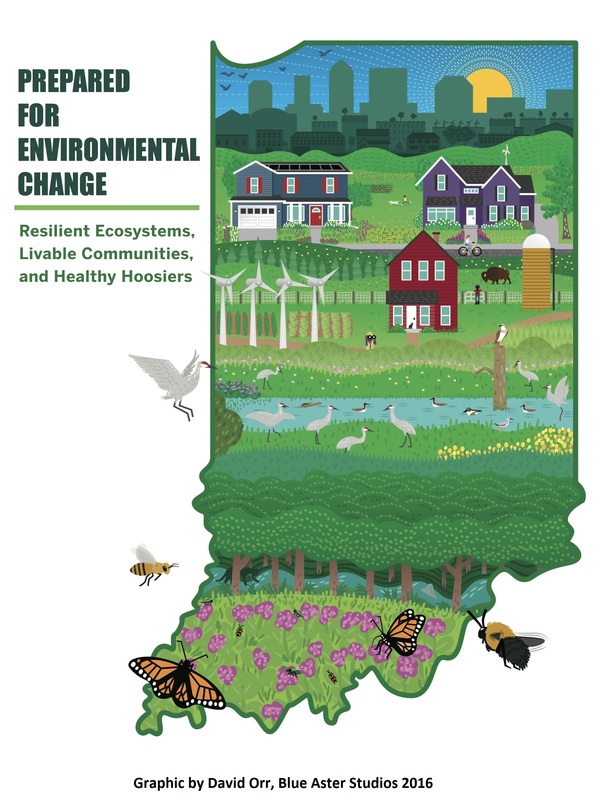 Burney Fischer and Sarah Mincey are members of the recently announced IU Grand Challenge “Preparing for Environmental Change (PfEC)” which includes many IU faculty from both the Bloomington and Indianapolis campuses as well as numerous partner organizations from across Indiana. The IU announcement of PfEC can be found HERE. Details of the BUFRG participation in PfEC will be forthcoming as research and outreach projects are developed and announced. Recent Indiana University graduate Noah Blumenthal's project, "One Swallow Does Not an Ecosystem Make: Using Avian Diversity to Guide Urban Forest Management," was accepted for presentation at the Ecological Society of America Conference in Portland, OR in early August. Blumenthal's findings suggest that native and dense plantings in urban forests are most strongly associated with bird diversity. Read the project abstract HERE. Dr. Burney Fischer will deliver lightning round presentations at both the Alliance for Community Trees and Urban Partners Conferences in November in Tulsa, OK. 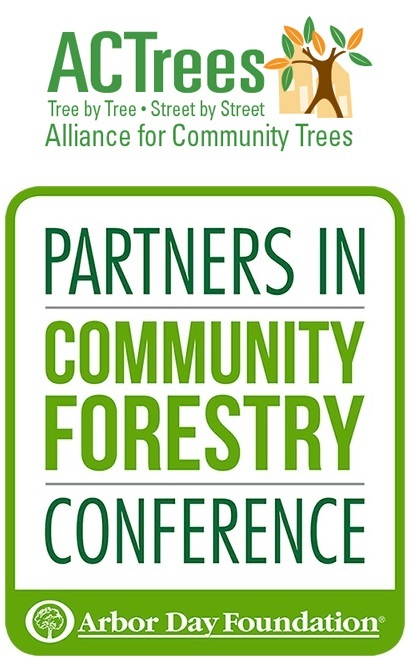 He will present "Connecting a Non-Forestry School Urban Forestry Course to Urban Greening Nonprofits" at the annual Alliance for Community Trees Conference on November 14. The presentation will help attendees learn about urban forest management courses at non-forestry schools, how they can connect with the enrolled students as volunteers, interns, and full-time employees, and how urban greening nonprofits can develop urban forestry case studies with university professors. At the annual Urban Partners Conference, he will present "The Great Urban Disconnect Between Ecologists and Foresters" on November 15-16. 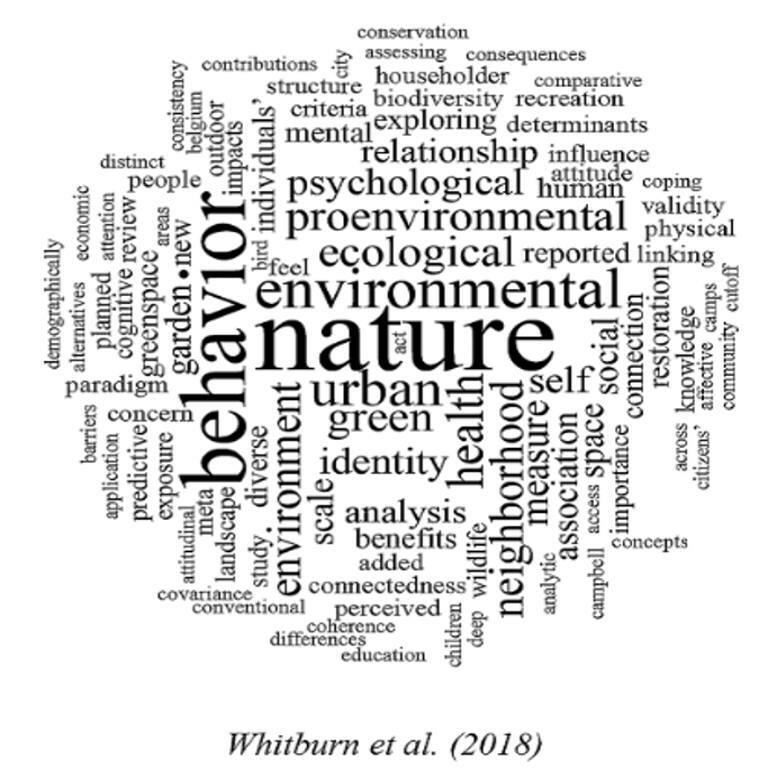 While it is understandable that urban ecologists (who work in traditional theory) and urban foresters (who work in management) struggle to find common ground, it is time to address this disconnect and open up a discussion. The presentation will cover how urban foresters can connect with urban ecologists so that both can better work for the city. This final article in a three-part series for the Hoosier Arborist is an appeal to urban ecologists and urban foresters to collaborate for the good of the urban forest. While the solutions may not always be convenient, Dr. Burney Fischer's team of graduate students argue that they should prove rewarding, especially if other stakeholders are brought into the fold as well. Read article 3 of 3 here. Shannon Lea Watkins lead authors the May 2017 article, "Is Planting Equitable? An Examination of the Spatial Distrubtion of Nonprofit Urban Tree-Planting Programs by Canopy Cover, Income, Race, and Ethnicity." Joined by Sarah Mincey, Jess Vogt, and Sean Sweeney, Watkins analyzes patterns of tree plantings in Midwestern and Eastern US cities and determines that inequity in canopy cover may be reduced by nonprofit tree plantings. However, minority neighborhoods may still be underserved by the programs. The article can be accessed here, via Sage Journals. MAY 2017: The Great Urban Disconnect Between Ecologists and Foresters. 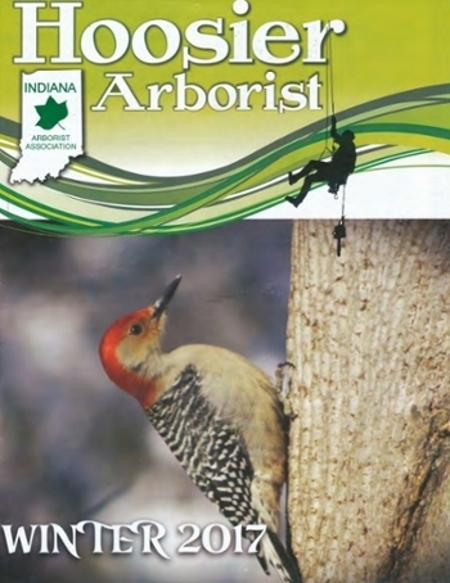 In this second entry in a three-part series for the Hoosier Arborist, the newsletter of the Indiana Arborist Association, Burney Fischer joins his graduate students in a discussion of the varied scopes through which ecologists, foresters, academics, and nonprofits view the urban forest. Where these parties can begin to broaden their scopes and see the complementary potential of the other perspectives, the urban forest stands to gain from a more holistic understanding and approach to management. Read article 2 of 3 here. APRIL 2017: E422/E522 Urban Forest Management Update. An elective mixed undergraduate/graduate course (30/10 students) taught by Burney Fischer that is lecture/discussion based learning with selected field experiences about managing the urban forest. The course consists of two 1.25 hour class meetings per week. In April the class has two field experiences – a day with Davey Tree/Resource Group and tree planting day with the Bloomington City Forester. The Davey day consists of a learning about Davey and all the services they provide clients, learning how to collect tree data for the Davey TreeKeeper Program and the basics of tree climbing for tree work (see photo of student climbing a tree). The tree planting experience is conducted in a Bloomington Neighborhood each year and is conducted like a non-profit tree planting experience with a tutorial on the basics of street tree planting (see photo of City Forester Lee Huss explaining tree planting) and then students breaking up into small teams to plant about 20 trees. Both events were very successful. 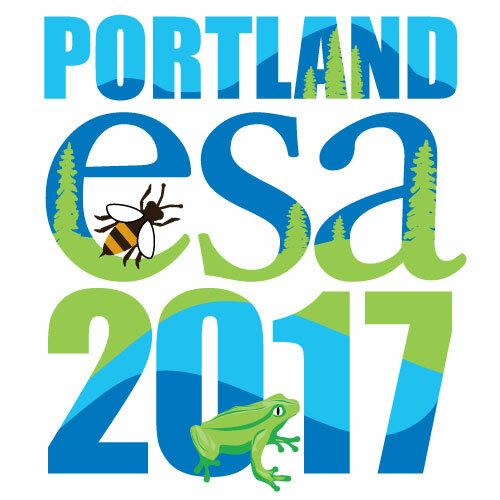 MARCH 2017: E555 Urban Ecology Update. This elective graduate course (11 students) is taught by Burney Fischer, and features discussion-based learning about urban ecology. The course consists of one 2.5-hour class meeting per week, broken into multiple sessions, where students lead discussions of readings they and the instructor selected. Briefing papers are developed prior to discussion, allowing the class to preview the salient points and issues for discussion. At mid-semester, each student prepares and presents a book review to the class. By video, the class interviewed Greg Cooper, who led a Master's project at Duke University entitled "Living in the Shade of Injustice," which focused on the urban forest of Durham, NC. The project demonstrated the legacy effect of the 1930s federal Home Owners' Loan Corporation (HOLC) program, which created maps that assigned residential areas a grade based on real estate risk levels, a practice that has become known as "redlining." Redlined neighborhoods continue to be underserved regarding urban tree canopy 80 years later. This discussion fit nicely with course readings on urban patch dynamics and the legacy impact. Learn more here. FEBRUARY 2017:Branching out to residential lands: Missions and strategies of five tree distribution programs in the US. Sarah Mincey co-authored this paper in ﻿Urban Forestry & Urban Greening. This research was supported by the USFS Philadelphia Field Station's Sustainability Fellowship program. JANUARY 2017: Defining Urban Ecology and the Connection to Urban Forestry. 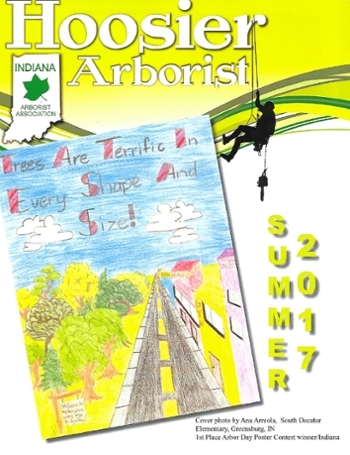 The editor of the Hoosier Arborist, a quarterly newsletter of the Indiana Arborist Association, requested a short series of articles (3) connecting urban ecology to urban forestry. 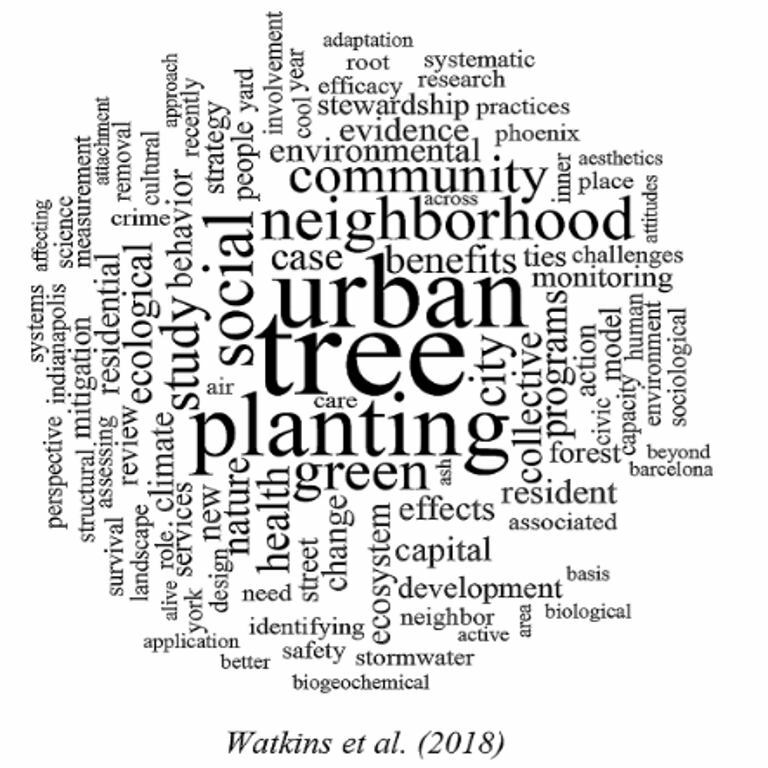 This first article focuses on defining urban ecology "in", "of" and "for" the city, and how this can connect to the practices of arboriculture and urban forestry. The article was well-received, and we were strongly encouraged to develop the second and third articles. Read article 1 of 3 here. Update: This article was also carried as an opinion piece in the February 2017 issue of Agricultural Reseach & Technology. You may read this version here.